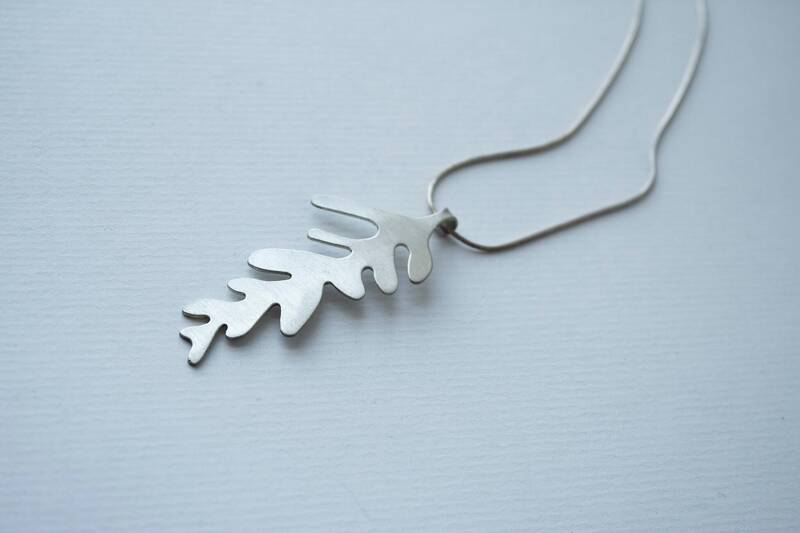 A beautiful version of one of nature's loveliest forms! 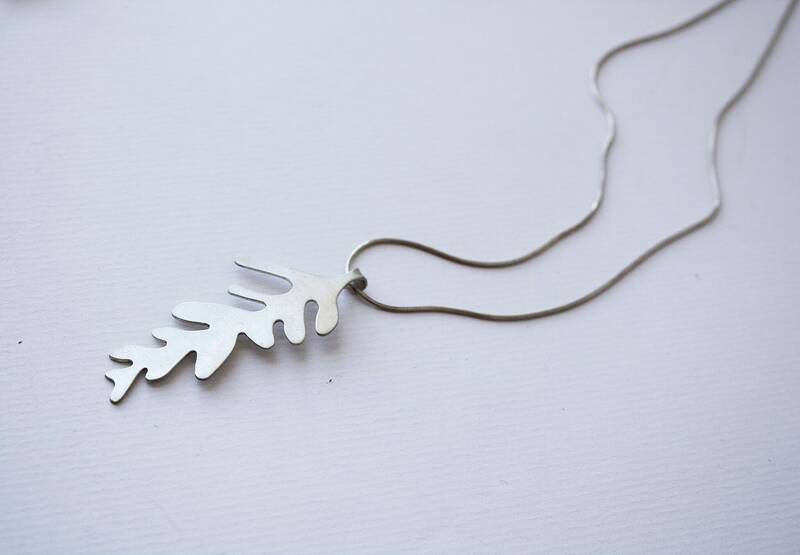 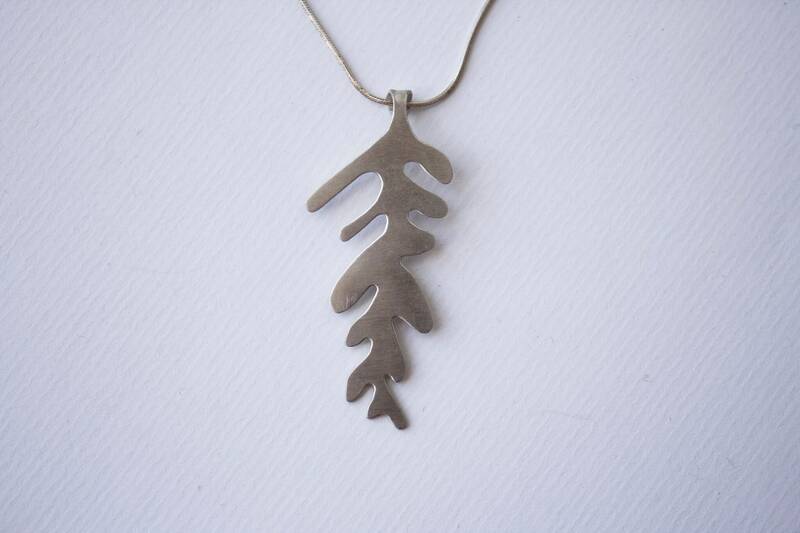 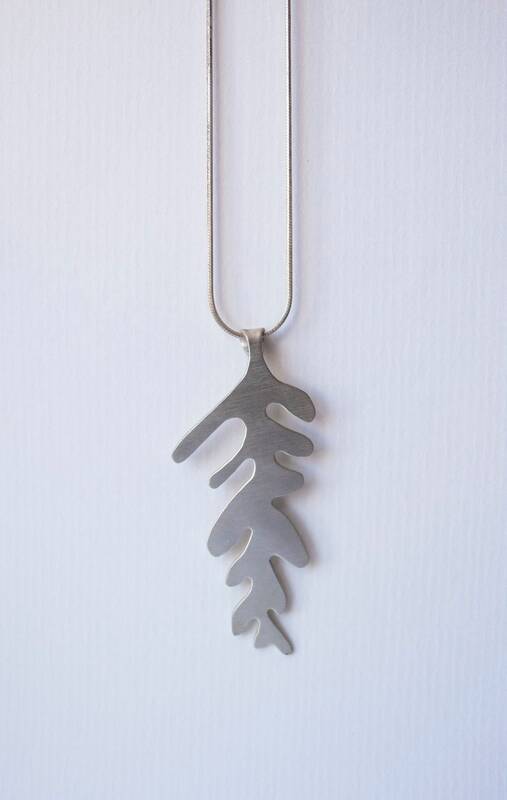 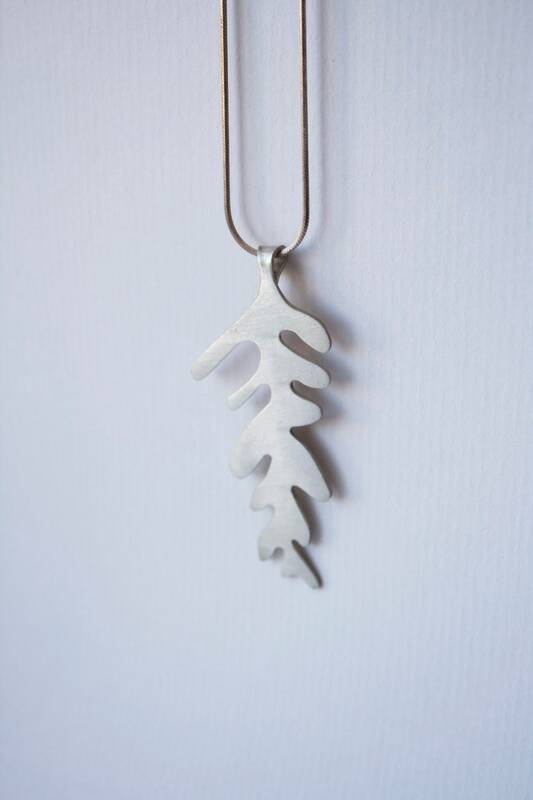 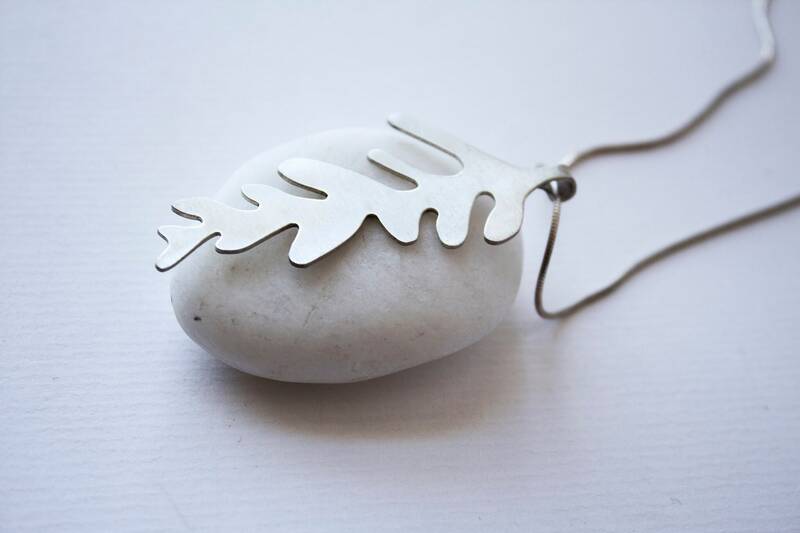 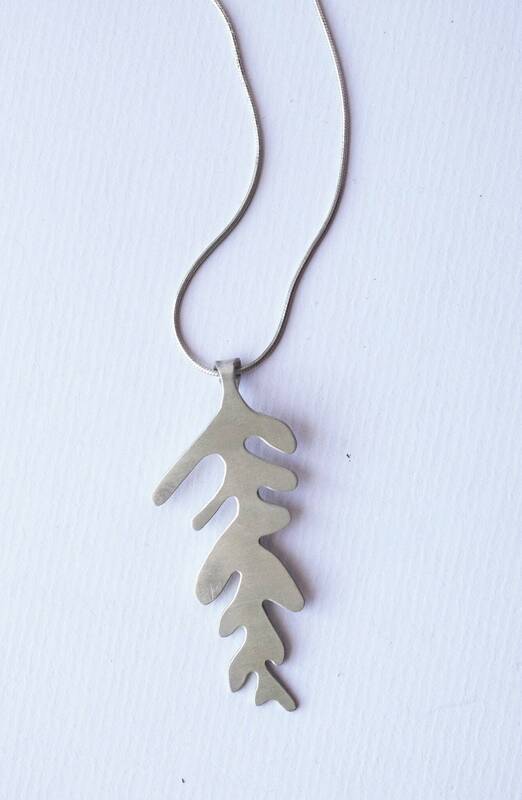 This stylized oak leaf, handcrafted in sterling silver, hangs on a silver chain. 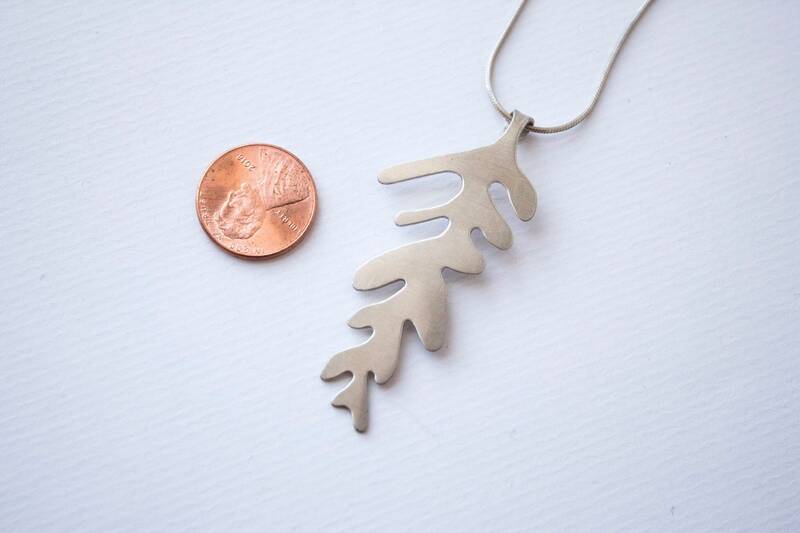 Leaf design will vary. 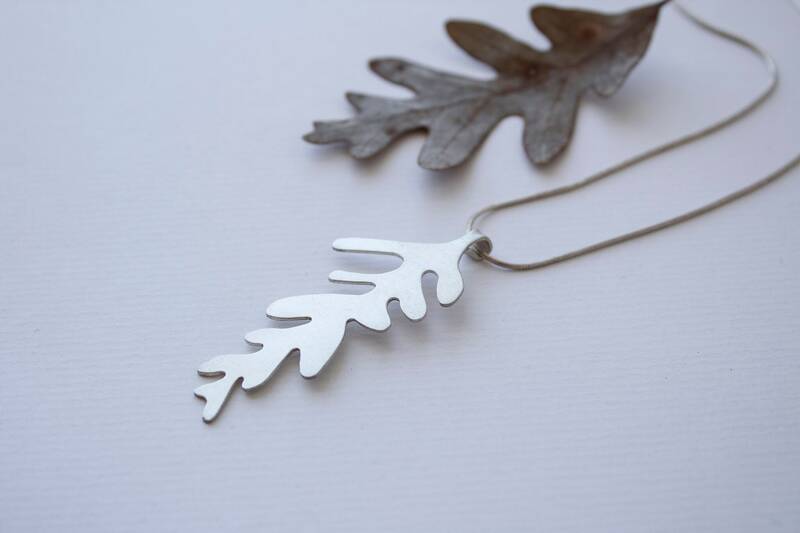 Oak Leaf: A symbol of strength and wisdom.